Moscow and NATO may “put an end to the post-Cold War period” at a summit of the alliance in Lisbon, Russian Foreign Minister Sergey Lavrov has said. The two sides may document the end of this period and set tasks for moving toward strategic partnership, Lavrov told journalists in Seoul on Friday. He said the agenda had been agreed with NATO Secretary General Anders Fogh Rasmussen. According to Lavrov, the post-Cold War period was marked by “elements of distrust and elements of dodging pledges made in the 1990s.” This, in particular, concerned the issues of “indivisibility of security," he noted. 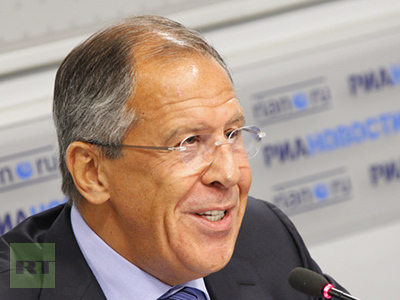 NATO does not present “a threat” for Russia, Lavrov said. However, he stressed that certain “temptations can be seen” inside the alliance. The attempt to move NATO’s military infrastructure closer to Russia’s border “contradicts reached agreements,” the minister said. This “inevitably will call for countermeasures,” he warned. Moscow and the alliance have common approaches and risks, Lavrov said, adding that they could be fought most effectively by joint efforts. 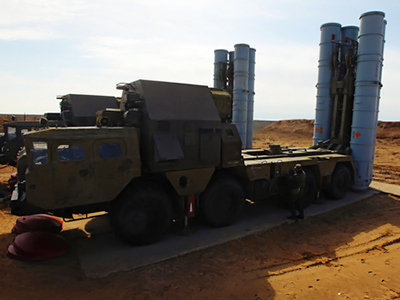 Russia is ready to cooperate with NATO in missile defense, the minister said. President Dmitry Medvedev will announce his proposals at the Russia-NATO summit in Lisbon on November 19-20. Medvedev had already put forward an idea of signing a new plan for European security that would guarantee equal rights to all member states. However, participants of NATO's summit in Lisbon currently seem to be preoccupied with the adoption of the alliance's new strategic concept. 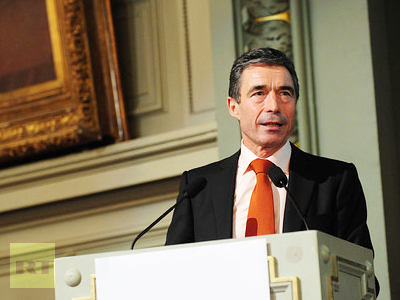 Rasmussen has spoken several times in favor of the creation of a missile shield for Europe and has invited Moscow to take part in the project that would integrate the US and NATO missile defense systems. Russia and NATO may complete “a general review” of existing risks, including those in the missile defense system by the summit in Lisbon, Lavrov said. But if the work is not done by the end of November, it will continue afterwards. The solution could be found on the basis of an analysis of common risks, he added. “I hope that in Congress it won’t be short-term considerations, in an attempt to outplay another political party, but that realization of the United States’ deep interests will prevail,” Lavrov said in Seoul, as reported by Itar-Tass news agency. But he noted that domestic factors have always influenced US foreign policy. The minister expressed hope that the new Strategic Arms Reduction Treaty (START) signed by the Russian and US presidents earlier this year, would be ratified in 2010. ­Russia is also interested in developing cooperation with Britain despite tensions of recent years. “We have never frozen Russian-British cooperation, and have always thought it to be an important direction of foreign policy,” Lavrov said, commenting on Thursday’s meeting between President Medvedev and Prime Minister David Cameron. The fact that Russian and British businesses are actively cooperating, “shows that life forces us to develop kind relations, rather than create artificial obstacles as under the previous British government,” Lavrov stressed. UK companies may take part in Russia’s Skolkovo innovation project – Russia’s answer to Silicon Valley. According to a source in the British prime minister's delegation at the G20 summit, Cameron said at the meeting with Medvedev that a number of companies were interested in Skolkovo. The British government is planning to launch a similar hi-tech project in the UK.